Honestly, when I look back over the last couple of months and realise how far I have come, I am amazed and incredibly grateful for the love and support and just presence of you in my journey. Life is beautiful and you Keri are an angel. I enrolled in a year’s worth of Practice Mentoring with Keri 6 months ago. It has been wonderful to have her on the other end of the phone for assistance with tricky clients, decisions on the direction of my practice and to benefit from her extensive experience in the spa industry. She’s generous with her knowledge and time, her articles are insightful and practical and I really feel she really speaks my language! I’m looking forward to what is in store for the next 6 months as I feel I have already come a long way. I am home from Retreat and just was telling a friend how seeing you really helped me last week and I just wanted to say thank you for your care. It really helped me through my pain seeing you. Keri will lovingly and gently guide you through any emotional physical mental and of course spiritual blocks that you may be facing. She is not only a gifted intuitive but is highly intelligent and brings a sense of humour and ease to her work. Words simply cannot describe just how amazingly magical Keri is. Starting my journey on an 8-week life coaching packaged was the best thing I ever did. Having such a supportive, intelligent and purely down to earth mentor literally changed my life. Her endless devotion and encouragement throughout our coaching sessions has helped me learn new life skills (both personal and business associated). As our program ended (and many tears were shed) I decided I could not possibly live without her and continued a monthly ‘maintenance’ of life guiding goodness! This coupled with body and soul nourishing acupuncture I wouldn’t have it any other way. Keri is now a valuable referral for many of my own clients and a close friend ? Keri’s ability to hold space when I was feeling hopeless, to cut through the noise when I was drowning is her gift to busy women. With her unique insights, her depth of experience and quirky humour, having her as a health coach brought me back to myself. When doubt rung louder than reason in my head, Keri’s practical advice gave me permission to be the biggest and best version of me. Every woman who is busy, drowning, losing sight of themselves will get huge value out of the words and wisdom that Keri shares. Do yourself a favour and get on board. I know that my future self is eternally grateful for the investment I made in having Keri in my corner. Thank you so much for sending me all those resources, and for taking the time to chat with me too! I felt so much better about my future even just after the little chat we had. That really meant the world to me and spun me a 180 in the right direction to a more positive outlook – so, thank you again. Thank you for the session on Friday I feel amazing! I seem to have more energy and even invited friends over for dinner on Saturday night which is not like me I don’t usually initiate this but I did, so I’m feeling very happy and keep telling my family that I have had a great weekend. I am so happy to have met you and grateful that you have come into my life. 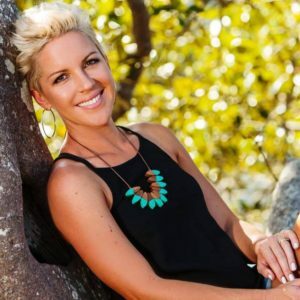 Keri’s coaching program was such a vital support for me when I began my journey as a business owner. She was very compassionate and emotionally supportive as she guided me through the different elements of my life/business and future ambitions. 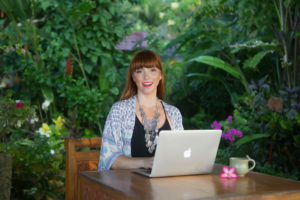 Keri’s personal experiences and knowledge as a practitioner and general woman guru helped me solve so many imbalances both in my work and personal life. Still to this day she is a foundational rock in my practice and her ongoing support is something I am truly grateful for. Keri is the most magical and mystical human I’ve ever met. Last year when I was filled with anger, frustration, sadness and utter exhaustion, my friend recommended I see her wellness coach. I used to think life coaches were for people that had no idea what they were doing with their life. But I needed something to help get me out the space I’d trapped myself in. Then I met Keri, the woman who has changed my life and helped me become who I always wanted to be. She helped me let go of beliefs Ive always had (like working 12 hours days is the only way to get ahead — I’ll rest when I’m dead). I’ve worked less hours, got a hell of a lot more done, felt healthy, felt happy, felt inspired and ready to take on the world. From setting my back on fire (Moxa!) to dancing naked in the rain (I wasn’t actually present for this!) It’s been an experience and one I’m forever grateful for. If you want to achieve big stuff, call this woman. Keri helped me get clear on the bigger picture which was exactly what I needed to work out in order to feel calmer and find clarity on what I actually wanted to do and where I wanted to be. I loved working with Keri and would certainly recommend coaching with her if you are feeling anxious, overwhelmed, unclear or confused on where you’re at in life. I always feel more calm aligned and on purpose after a session with Keri. This is one of the best hot stone training DVD’s available. I particularly loved the close ups of Keri’s hands while she is working with the stones. To really see the massage techniques in this way makes it easy to imitate and learn the sequences. Keri offers natural, enthusiastic and practical instruction. Her skills are founded in her wealth of knowledge from over 15 years in the spa industry. I’d be happy to recommend her to any of my clients. I came to Keri’s Hot Stone Training with little previous massage experience. The DVD was a wonderful resource, letting me practice again and again and watch specific techniques until they felt comfortable and natural. It’s been an invaluable learning experience and opened up a whole new line of work in the spa industry. As a beauty and massage therapist I had often thought about learning hot stone massage. I had heard such wonderful feedback from clients and therapists about Keri’s style of hot stone massage that I chose to do her two day course. The DVD was a wonderful take home tool and the course paid for itself with the next week’s new hot stone clients!